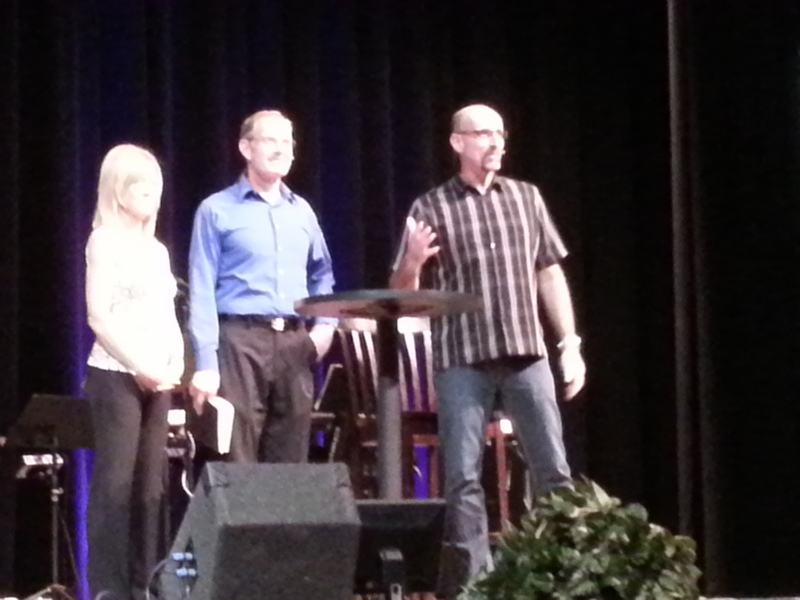 This past Sunday, we were in Flagstaff at Grace Community Church. One of the missionaries that Grace Community supports was the guest speaker. 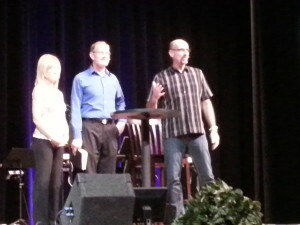 Missionary Jason Rogers and his wife Tammy were introduced by Pastor Mark Smith. After a fun introduction, Jason Rogers gave the message. He spoke of his journey into the mission field in Nicaragua, how he answered the call, and what they’ve been doing as missionaries there for the past 12 years. He also encouraged the congregation to answer the call to whatever mission God may be calling them to. 1. When you are serving the Lord, don’t get sidetracked from the main point by the mission itself. Keeping the main thing the main thing means meeting people’s greatest need – a relationship with Christ! It’s important not to get sidetracked by anything that might take away from that! 3. Teach people how to read God’s word. It’s great if we can help them know it, understand it, and dig deeper into it. But ultimately, a person can’t get into a deep relationship with God without knowing how to read His word! 4. They showed a video of a few lives that have been changed through their mission work. We were hoping to find the video online, but haven’t found it yet! The end of the video referenced this website, so we’re hoping they’ll post the video there soon! At any rate, during the video a man named Chepe made a great point, “We are ALL missionaries.” He’s right! No matter where, no matter how large or small your mission field may be, you ARE a missionary if you are a follower of Christ! To learn more about the Rogers mission, visit this website where Grace Community has posted a recent letter. Also feel free to visit Grace’s website by clicking here.